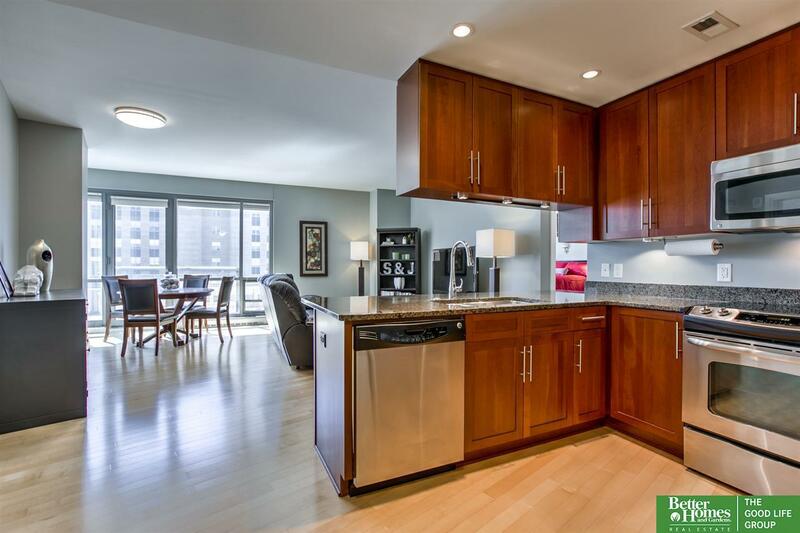 Must see two bedroom, two bath condo at Midtown Crossing! Indoor heated parking, concierge service, roof top clubroom and 24 hour security. Walk to restaurants, fitness center, dry cleaners, grocery store, movie theater, salon and more great retail! Just in time to enjoy Jazz on the Green and other fun events in the park this summer! Condo living at its finest!